I have been in love with The Pioneer Woman and all her wares for years. Well, she just came out with a few new items and just in time for the holidays! One of the reasons I love The Pioneer Woman is she makes high-quality products and sells them at an affordable price point. You can find her line in store at Wal-Mart or online at Wal-Mart.com. Here’s a look at a few new items. Are you a tea lover? 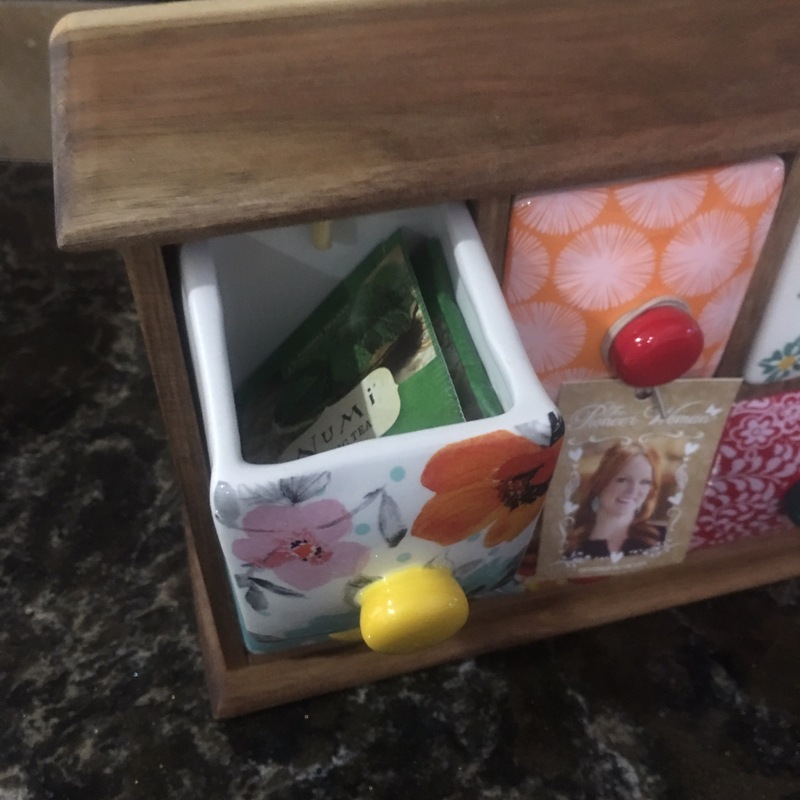 Looking for a way to store your tea but have it accessible? 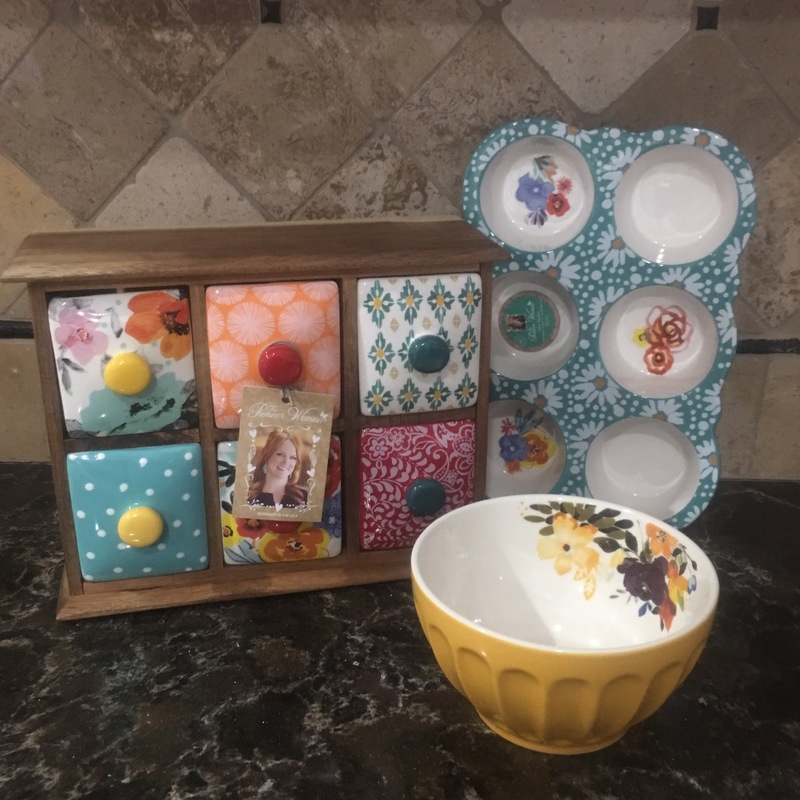 Check out The Pioneer Woman’s Flea Market 6 drawer spice/tea box. The detail on this box is spectacular. I really like how there is a little peg to make sure the drawer is not pulled too far out. And it fits a standard tea bag! You can leave it sitting out on the counter or pull it out of the cupboard when you would like some tea. It’s a versatile piece. I am loving the flea market ceramic muffin pan. I baked some blueberry muffins in it just to see how evenly it baked. And I can say, it bakes evenly! I did spray the pan with a little pam just to make sure the muffins did not stick and I did not use a liner. 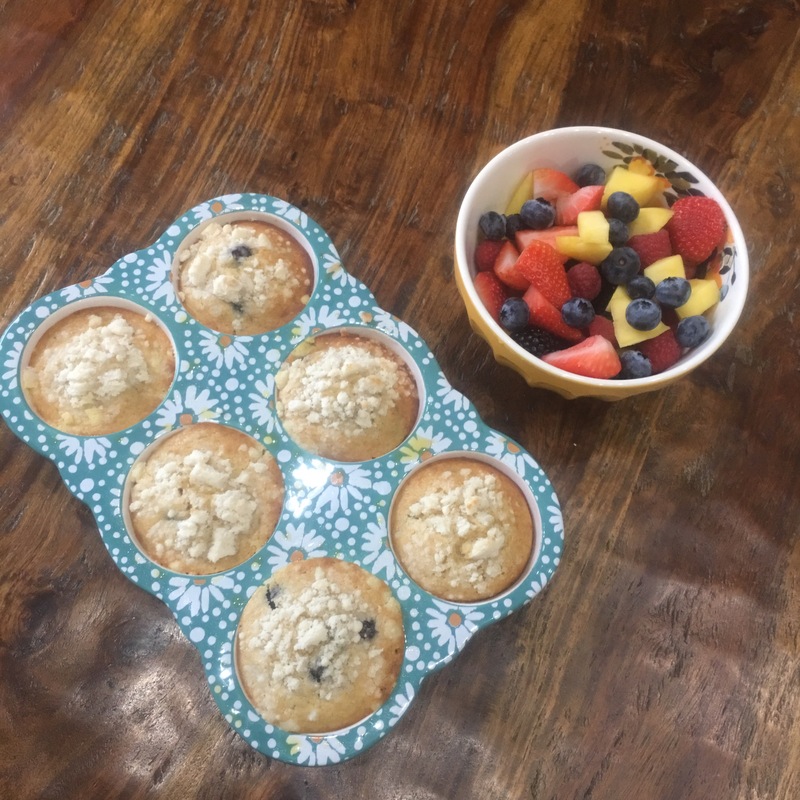 Our blueberry muffins had a beautiful golden brown color all over. And the last item I’m showing you today is the bowl. I love this bowl! It’s perfect for making a small fruit salad for two or even a big bowl of ice cream! As you can see, I went the healthier route and made a fruit salad. I sliced up strawberries, mangos, blueberries, blackberries and raspberries to add to our brunch. The Pioneer Woman has a full line inspired by the flea market. From serving dishes to bakeware you are covered. They even have some adorable storage solutions! If you are looking for quality kitchen wares with personality check out The Pioneer Woman. These are gorgeous! I was blessed to receive a Pioneer Woman rolling pin! I Know! I’m thinking of redoing all my dishes now. I’m just in love with the Flea Market inspired line.